CESARCHAVEZ Menu Show search box. 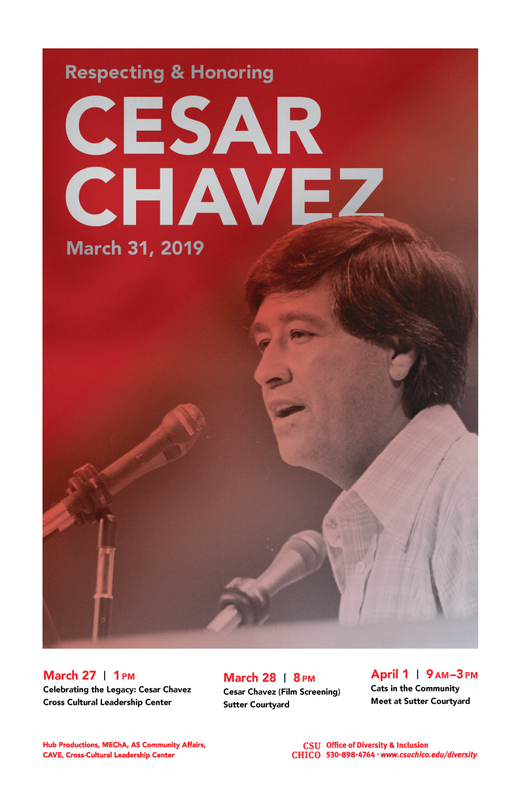 March 31st is a state holiday dedicated to Cesar Chavez Day, which is also observed by the state as a holiday for the CSU System. During this time, Chico State students are encouraged to help out in the community and commemorate this holiday in a thoughtful manner. Our goal is to help educate members of our campus community about Cesar Chavez. 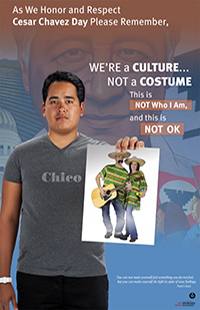 The website was created by the Cultural Holiday, Events and Celebrations Committee whose purpose is to raise awareness about the life and legacy of Cesar Chavez and similar sites will appear for other cultural holidays.